Highly upgraded home for the most discriminating buyer! 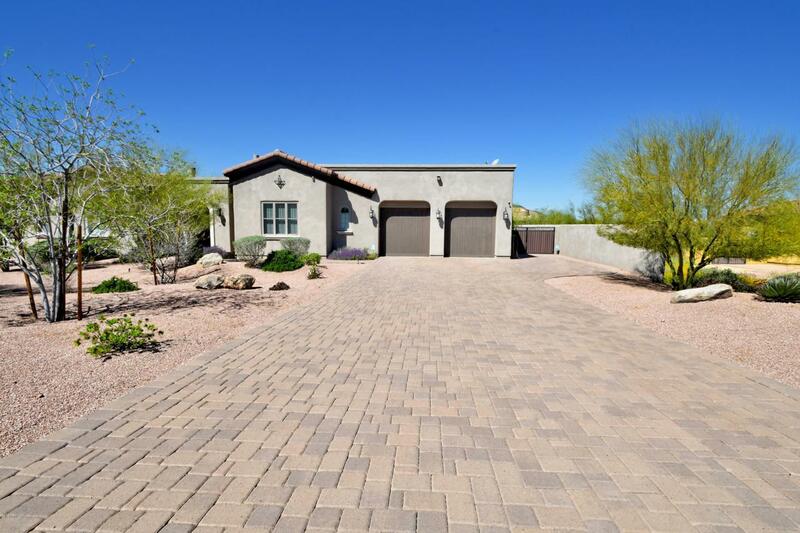 Home includes detached casita in gated community. Designer touches and improvements everywhere. Kitchen boasts large kitchen island, stainless steel appliances, upgraded cabinets, and contemporary backsplash. 20 foot Pocket door disappears into the wall. High end custom closet in the master. Amazing backyard includes resort style pool with slide, waterfall, deck jets and raised spa. 2 travertine patios, built in BBQ, outside accessible bathroom, natural gas fire pit, grass AND Sport Court. Only the finest quality materials are found in this incredible home. Listing courtesy of Arizona Professional Real Estate.